In 2018 the March market met the Beast from the East and we lost! This year looking out of the window it couldn’t be more different, not sure these balmy temperatures will make it until Sunday, but we are enjoying them while they last. Kauri Fine Foods – if you are a dyed in the wool market attendee you will be delighted to see Shelley back at the market this month! All About Pies – I say this every month, come early if you want to get your pies! FatJax – handmade chutneys, including Red Hot Chilli Relish which needs a mask to make! Kitsch Republic – 1st outing of the year at Heaton Moor for Kitsch, so if you’ve missed them, get your fix on Sunday! 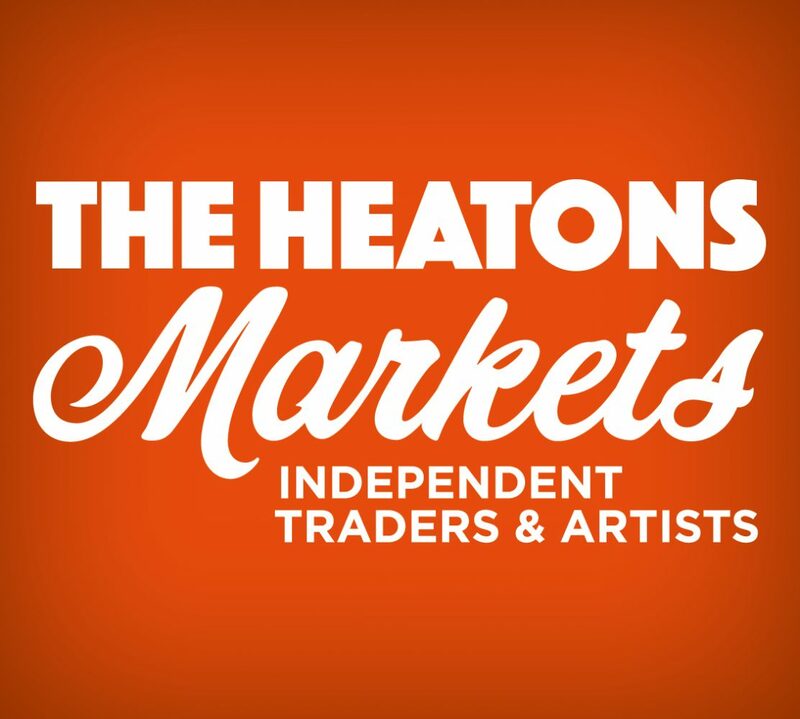 The gazebos are being dusted down once more and the Artisan Market of Heaton Mersey is back on Saturday in front of St John the Baptist Church, Heaton Mersey. We are joining in with Heaton Mersey Collective and St John’s Church in their WW1 commemorations. In church there will be music, drama, displays relating to local history and people, including the Commonwealth War Graves outside, children’s crafts and facepainting throughout the day 11-3pm. Plus in the Methodist Church, which was a WW1 hospital there will also be displays. A lot happening in St John’s Square and Heaton Mersey Methodist Church on Saturday Nov 10th 11-3pm! We may be toiling under arctic blasts of cold air, but we have the conviviality and warmth of the next market to warm you up! (A bit of seasonal sentimentality creeping in there, Christmas is approaching after all…) So, as you kick through the autumn leaves (delicately avoiding the hidden dog dirt) and smile at your fellow Heatonians on your way to Shaw rd, the gazebos will be up, the thermals will be on and this band of elves shall be awaiting! Artisam – last month there was a fryer catastrophe and there were no fries cooked in truffle oil. This month, fingers crossed we are good to go! Fozzbees – local honey and wax products all produced by Chris. Well, technically by Chris’s bees, but you know what I mean..
Nonna Teresa – Lucio was not here last month, which made it a sad month for ravioli enthusiasts, but not to worry, the world is back on its axis, he’s here this month! All About Pies – Fidget, Homity and lots of others. They sound like the 7 dwarves, taste brilliant! Marmalady – Christmas has definitely arrived in Lyn’s kitchen and so has autumn – remember parkin, ginger cake….? Say When – personal choice wines and beers, chat to our resident sommeliers! Haycroft Meadow – another favourite, Ray keeps making more sausages and burgers and they keep selling out! Order your Pigs in Blankets to collect next month. Cheese is Grate – cheese is fabulous on cold nights, that savoury hit with a touch of ginger or cranberries coming in behind. Full range of truckle cheeses available. Webb’s Beef – freshly butchered chicken, bacon, burgers – come quickly, they sell out! Catfish Kids – children’s toys are back, Christmas ideas and stocking fillers! What Katy Did – hand picked and personally designed silver jewellery beautifully presented. Will make gorgeous gifts. Scents and Solace – soy candles and room diffusers. Packaged to make a beautiful gift. Heathers Cards – Flamingo Paperie is in full Christmas regalia, get your Advent Calendars here!